ine, I'll admit it: I'm passive aggressive, but at least I'm creative. Where most would fight back against loud and obnoxious neighbors with a late night serenade of M.I.A. 's Bucky Done Gun (that sampled trumpet solo is a force to be reckoned with), I choose to battle their racket with silence. I've been professing the merits of headphone gaming for the better part of a year, but Astro just made my mission a heck of a lot easier. The original MixAmp brought Dolby Headphone processing and PC headset compatibility to any receiver with an optical output; their new MixAmp 5.8 cuts the cord, and then some. Up to four players can enjoy simulated headphone surround and voice chat.The MixAmp 5.8 consists of two parts: the Tx transmitter and the Rx receiver. A single Tx unit can support up to four Rx receivers, meaning that up to four players can enjoy wireless, high-fidelity audio and voice chat without cords attached. While any quality PC headset is supported via the packed-in adapter cables, it's clear that the MixAmp 5.8 package was meant to be used with Astro's own headsets (which include the A30, A40 and A*Star earbuds). For my testing, I used Turtle Beach's Earforce HPX headset, and the results were fantastic. As the name implies, this wireless MixAmp transmits digitally at 5.8 GHz, negating interference from a number of common household sources. While your mileage will vary (depending on the layout of your gaming space), I was able to move about 50 feet away from the transmitter before the signal dropped out — that's plenty of range for all but the most cavernous of man caves. In terms of connectivity, the MixAmp 5.8 is adequate, though not perfect. Gone are the orginal MixAmp's analog inputs, replaced by a single TOSLINK input and output. Of course, most users purchasing a product like this are doing so for its digital processing capabilities, so the lack of analog support isn't that big a deal. Long story short: PS3, Xbox, and PC gamers have nothing to worry about. If I had any real caveat with the MixAmp 5.8, it was that it only accepted a Dolby Digital bitstream. The lack of DTS support meant that this wouldn't be my do-all home theater audio solution. For gaming, though, this shouldn't be too much of an issue. 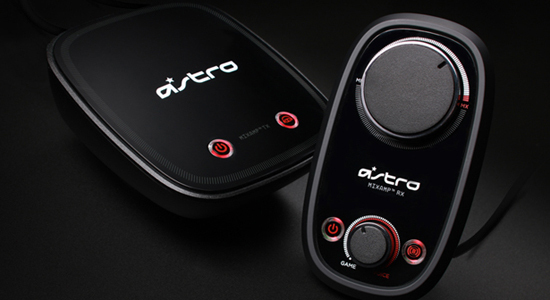 Convenience, quality and value: the MixAmp 5.8 brings it all. Voice communication over Xbox Live and PSN was crystal clear, and the ability to mix voice chat with directional game audio in titles like Modern Warfare 2 is a godsend. This is one product I can't recommend enough, and it's one that any serious online console player shouldn't go without. Are you passive-aggressive, Ed, or are you bona fide satyagraha? Gandhi would be proud.